Luis Suarez scored a hat-trick as Barcelona thrashed Real Madrid 5-1 in El Clasico to heap more misery on Julen Lopetegui. Philippe Coutinho gave the hosts an early lead at the Nou Camp when he met Jordi Alba's cross (11), and Suarez doubled Barca's advantage from the penalty spot after being fouled by Raphael Varane (30). Marcelo gave Real hope five minutes into the second period, but Suarez then met Sergi Roberto's cross to head in his second (75). The Uruguayan completed his 12th treble since joining Barcelona with a fine finish over Thibaut Courtois (83) and substitute Arturo Vidal completed the rout from close range (87). Barcelona: Ter Stegen (6), S. Roberto (8), Alba (8), Pique (6), Lenglet (7), Arthur (7), Busquets (7), Rakitic (7), Rafinha (6), Coutinho (7), Suarez (9). Subs: Semedo (6), Dembele (8), Vidal (7). 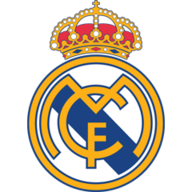 Real Madrid: Courtois (7), Nacho (5), Ramos (5), Varane (5), Marcelo (6), Casemiro (5), Kroos (5), Modric (5), Isco (5), Bale (4), Benzema (6). Subs: Mariano (n/a), Vazquez (6), Asensio (5). The result leaves Real Madrid languishing in ninth place in the table after a third straight league defeat, while Barcelona return to the summit following their biggest El Clasico win since 2010. The fall-out will be considerable in the coming days for Madrid after slumping to their worst start in La Liga in 19 years. This was a collapse that may well signal the end for Lopetegui, whose side were behind as early as the 11th minute. Ivan Rakitic's searching ball over the top found Alba in acres of space and the Spaniard's cut-back was passed into the net by Coutinho. 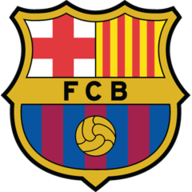 Barcelona continued to stream forward at ease and after Varane had felled Suarez inside the box, referee Sanchez Martinez referred to VAR before awarding the spot-kick, duly dispatched by Suarez. Ernesto Valverde named an unchanged team following the midweek 2-0 win over Inter Milan. It meant that Rafinha continued in Lionel Messi's absence down the right of the three-man attack. Ousmane Dembele had to settle for a place on the bench. Thibaut Courtois returned in goal for Real Madrid in place of Keylor Navas. Nacho moved to right-back in place of Lucas Vazquez, who dropped to the bench as Raphael Varane returned in the centre of defence. Real made the perfect start to the second period when Marcelo scored his third goal in as many games, wrong-footing Marc-Andre Ter Stegen from Isco's cross - and they very nearly completed the comeback when Luka Modric's shot hit the foot of the post. But that was the closest Lopetegui's side came to rescuing a point, as they spectacularly folded in the final 15 minutes. Madrid haven't lost three La Liga games in a row since May 2009 under Juande Ramos, when they ended the campaign with five straight losses. Suarez had already struck the woodwork before he met Roberto's cross to expertly flash a header past Courtois, and he then completed his hat-trick when dinking over the Belgian having been released by Ousmane Dembele. Barcelona rubbed salt into the gaping wounds of their fiercest rivals as Dembele then provided for fellow substitute Vidal to head home his first goal for the club to complete a miserable afternoon for Los Blancos. There were 30 passes made in the build-up to Philippe Coutinho's goal for Barcelona against Real Madrid, the most of any goal in El Clasico in La Liga since at least 2005/06. Barcelona are unbeaten in each of their last 42 league games at Camp Nou in (W34 D8), their longest such run since February 1977 (67). Real Madrid have failed to win in their last five La Liga games (D1 L4), their worst run in the competition since May 2009 under Juande Ramos (five defeats). Marcelo Vieira has scored in three consecutive games for Real Madrid for the first time ever in all competitions (three goals). Excluding Lionel Messi, Luis Suarez is the first Barcelona player to score a penalty in El Clasico since Ronaldinho Gaucho in April 2006 (all competitions). With Lionel Messi out injured, it was wondered how Barcelona would fair without their talisman for an El Clasico for the first time since 2007. But Suarez showed in the recent victories over Sevilla and Inter Milan that he is ready to fill the void with greater productivity, and he was at his lethal best against a ragged Real. The striker now has nine goals in this particular fixture, and his elusive movement caused problems for Sergio Ramos and Co all afternoon. Only the post and the heroics of Thibaut Courtois denied him from scoring more. Barcelona host Cultural Leonesa in the Copa del Rey on Wednesday before travelling to take on Rayo Vallecano in La Liga next Saturday. Real Madrid visit Melilla for the first leg of their Copa del Rey tie on Wednesday before hosting Valladolid next Saturday.